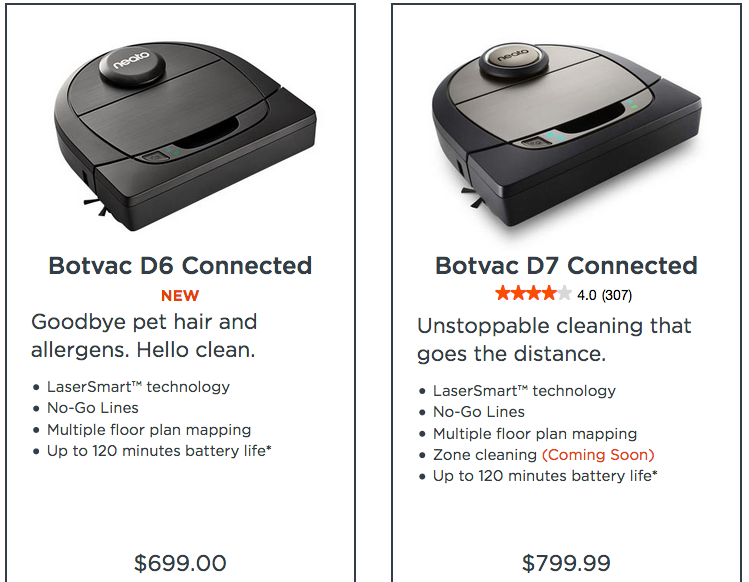 I am looking st getting a Neato vacuum and am trying to decide between the D6 and the D7. Is the only difference between these two models the zone cleaning in the D7? Is there any other differences in cleaning power, navigation, or ability to cross differences transition heights? I asked them this on twitter and it seems they're exactly the same machine but the D6 won't have zone cleaning. in fact the only difference between even the D4 and the D7 is that the D7 has multiple rather than single floor plans, manual cleaning remote control (who really uses that? ), and a side brush. Not sure those differences justify an extra £300 for the D7 over the D4, but so it is. Thanks for clarifying. Multiple floor plans and zone cleaning alone warrant the price. D7 all the way.